Philip A. Rovner specializes in the areas of corporate, commercial and complex litigation. He is an experienced trial attorney, having served as trial counsel in intellectual property, trade secret, corporate and commercial disputes, including cases pending in the United States District Court for the District of Delaware, the Delaware Court of Chancery and the Delaware Superior Court. Phil has been ranked in Chambers USA: America’s Leading Lawyers for Business since 2004. He is listed in Who’s Who Legal: Patents and has been identified among the leading patent lawyers in Delaware by IAM 1000: The World’s Leading Patent Practitioners. He also has been recognized in IP Stars, Managing Intellectual Property magazine’s guide to leading IP firms and lawyers. Sonos v. Denon Electronics (D. Del.). Counsel for Sonos in December 2017 jury trial where jury returned verdict in Sonos’s favor finding infringement of three of Sonos’s patents and that Denon’s infringement, by its competing high-end wireless audio line, was willful. The jury also rejected Denon’s attempt to invalidate the three asserted Sonos patents, finding instead that all asserted patents are valid. Quadrant Structured Products LLC v. Athilon Capital Corp. (Del. Chancery). Counsel for Athilon and its board of directors in successful defense against claims of breach of fiduciary duty and breach of contract; in post-trial decision, court denied all the relief Quadrant requested ($200 million and an order requiring Athilon to liquidate its assets and shut its business down entirely) and permitted Athilon to continue executing the long-range business strategy that Quadrant challenged at trial. XpertUniverse, Inc. v. Cisco Systems, Inc. (D. Del.). Counsel for plaintiff in fraud action; jury returned a verdict of $70 million in XpertUniverse’s favor. Nova Biomedical Corp. v. Roche Diagnostics Operations, Inc., et al. (D. Del.). Represented Roche Diagnostics in jury trial defeating allegations that Roche Diagnostics had breached a confidentiality agreement and unfairly competed by misusing alleged trade secrets. Baxter Healthcare Corporation v. Minrad, Inc. (D. Del.). Counsel for Baxter in successful ANDA litigation involving device for inhaled drug delivery. Freudenberg Spunweb Company v. FiberVisions L.P. (Del. Super.). 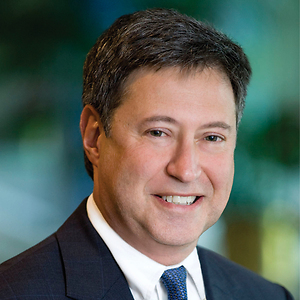 Lead trial counsel for defendant FiberVisions in successful defense of breach of contract action brought pursuant to Delaware Superior Court’s Summary Proceedings for Commercial Disputes procedures; judgment in FiberVisions’ favor after six-day bench trial before Judge Fred S. Silverman. Baxter Healthcare Corporation v. Aventis Behring L.L.C. (Del. Chancery). Lead trial counsel for Baxter in successful commercial case involving Baxter’s recombinant blood products.